This humble little bench vise is my favorite tool. It’s battered and banged-up, and that hammering surface desperately needs some help. But of all the various items I use every day, this is the one that would break my heart if I lost it. This vise belonged to my brother. He was 10 years older than I, and he passed away from cancer when I was 20. He was the only boy, the middle child with sisters on all sides, and he was very much a “man’s man.” He worked as a logger, and loved working on cars and motorcycles and woodwork projects, and generally getting his hands (and face and clothes and everything else) dirty and greasy. Those dirty hands were his badge of honor for whatever he’d accomplished at the end of the day. Not too long after his illness was diagnosed, he moved back in with our parents, bringing many of his belongings with him. The tools he’d accumulated made their way into our dad’s garage, to be used and loved. I had no personal use for the tools at the time, so I didn’t give them much thought. I started doing wire work about 10 years or so after that. And so one year at Christmas with my parents, after most of the gifts were unwrapped, there was one left for me, without a “from” tag on it. And inside was the bench vise; my parents had found it amongst my brother’s things, and thought that maybe now, it might be useful to me. So they wrapped it up, as one last gift from my big brother. So now it sits next to me every single day. I use it for hammering, for holding wire ends, and for all sorts of wire-work tasks that it most certainly wasn’t designed for (but works very well regardless). Every time I do, I see my brother’s face and his goofy smirk at the end of a long day, proud of his dirty hands. Submitted by Selma on Wed, 05/17/2017 - 3:26pm. Thought I would try to comment from the computer instead of my phone. 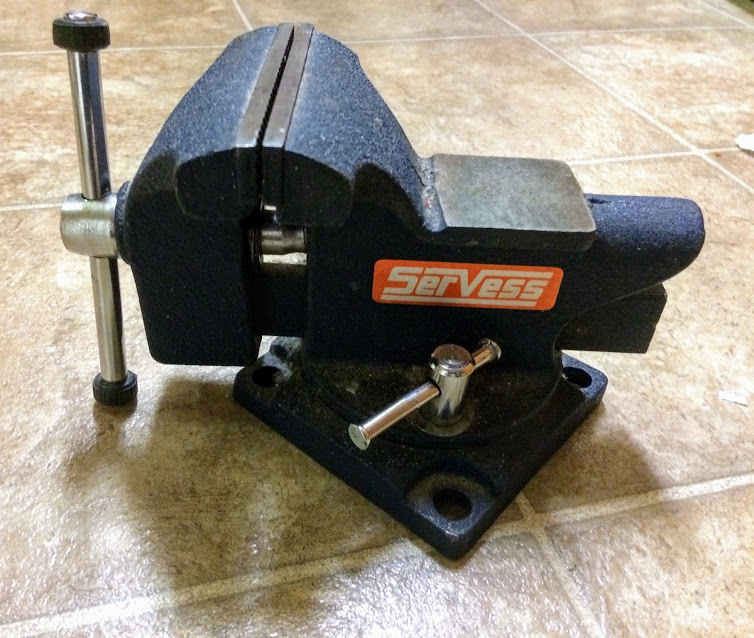 What wonderful memories you will have every time you use your bench vise. Submitted by Anna Roberts on Wed, 05/17/2017 - 6:46pm. Submitted by Connie on Tue, 05/23/2017 - 4:05pm. This is a beautiful story, Anna. He is with you all the time. I know he would be so proud of the beautiful pieces you create and happy that something he owned helps in your special creations.